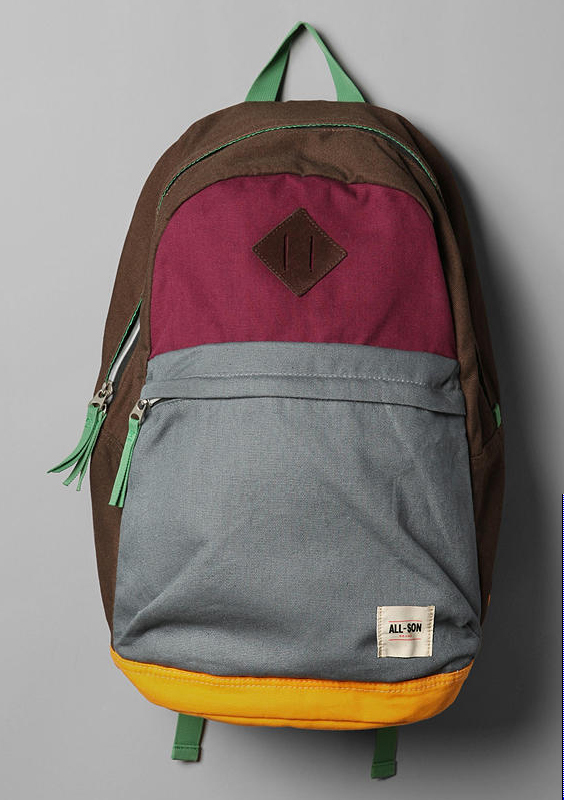 All-Son goes multi-coloured with this fun colorblock backpack. The classic canvas backpack in brown, grey, yellow and burgundy features a lined main compartment, zip closure at the front and suede tie point at the front. Available online through Urban Outfitters, the bagâ€™s a youthful and reliable carrying option.